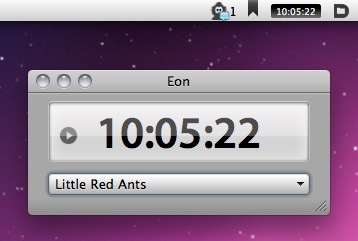 You can begin to start timing using the menubar or the time tracking window. Once you stop the timer, you’ll need to post the time to SUBERNOVA. How it works is that the current time you have tracked in Eon will be added to the current time in your project in SUBERNOVA. 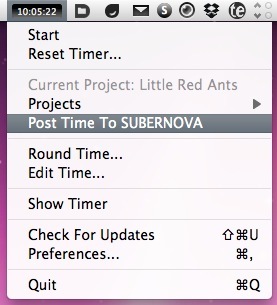 If you do not post time to SUBERNOVA, your project’s timer will not be updated.